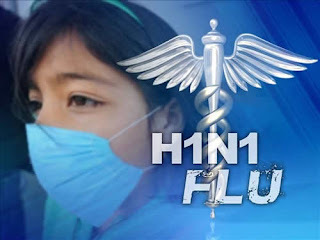 The government stopped counting swine flu (H1N1) cases in the US back in July when the number reached about 1 million. Swine flu has killed over 1000 people in the United States so far. The fog has lifted and President Obama sees an emergency. Adding to the crisis, there is a severe shortage of the H1N1 vaccine. THURSDAY, Oct. 22 -- As reports of swine flu infections continue to pour in from across the United States, health experts labored Thursday to explain why delivery of stocks of the long-awaited H1N1 vaccine are falling behind schedule. Federal officials had projected that 40 million doses would be on hand by Oct. 15, but not even 13 million doses had arrived by Tuesday. Meanwhile, President Obama is giving 10% of our swine flu vaccine to the WHO for other countries. Regular seasonal flu's kill 36,000 per year. So 1,000 is going to be the level for martial law or something? Are the sheeple that badly informed? when will the media report on this here 'katrina moment'?...heck it's not like they didn't know it was coming and it sure looks like more people will or maybe even already have passed from this than from katrina...where are the news media reports?? ?